The greatest thing about being a comic book fan is that there is no shortage of unique stories out there. I’ve broadened my horizons as a comic book reader, and I’ve met other comic book fans who have introduced me to books I would have never picked up. It’s been difficult narrowing down my top 10 issues of the year. There are some series that produce fantastic issues one right after another. There are others that have one issue just stand head and shoulders above the rest. The following ten issues were some of the highlights for me, in no particular order. Remender’s final issue. I have been onboard with this series since the beginning, and the ending brought me to tears. The impact certainly wouldn’t have meant as much if I didn’t read the whole series. Remender wrapped up the series that both left me satisfied and ready for the next volume. Speaking of tears…Batwoman #0 was J. H. Williams’ opportunity to flex his narrative muscles. 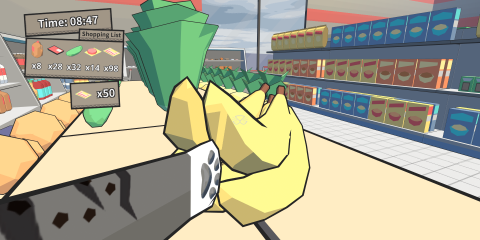 The artwork of the series has carried most of the storytelling. 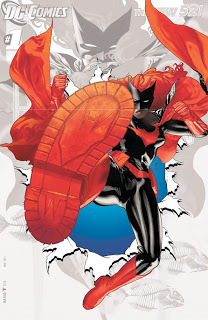 The zero issue of Batwoman featured toned down artwork and heavy narrative. If there was ever one issue that shows the softness that superhero issues are capable of. Captain Marvel blew me away. 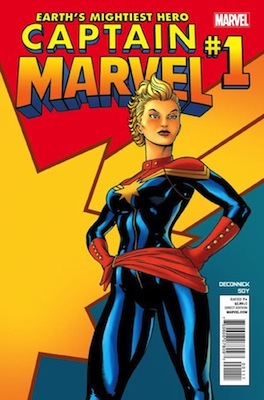 Kelly Sue DeConnick brings back the female superhero to Marvel with the strong, focused, magnificent Carol Danvers. Both men and women have enjoyed Captain Marvel, showing that female heroes aren’t for females only. Further, now we have Red She-Hulk and Journey Into Mystery, both heavy on the female characters. For those who have been reading this series, you know that it is incredible. It was hard for me to pick one issue from this series, so I went with one the most tender moments. Proclaiming love to a dead person brings up feelings of regret and missed opportunity, but what do you do when that dead person comes right back to life? The moment you realize you have a second chance is one of the most poignant moments in a story. 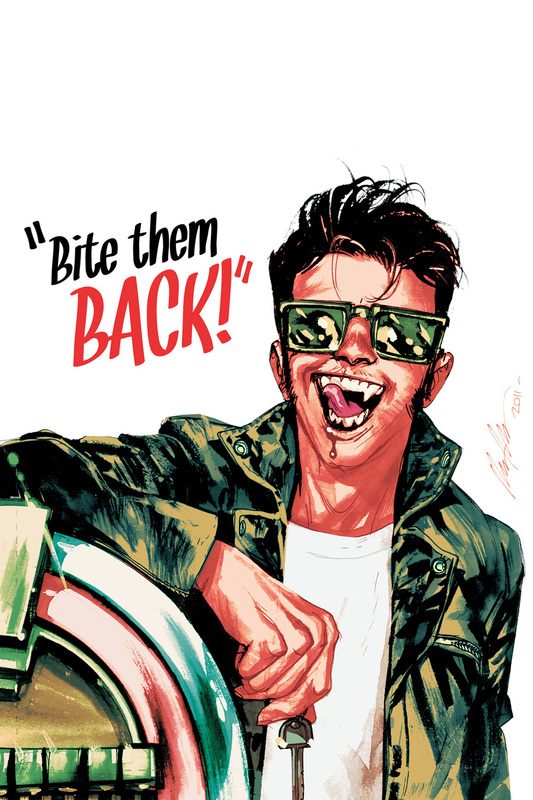 Scott Snyder is a big fan of Elvis Presley. He made that clear while talking about this issue and the others that follow in this 50s arc. 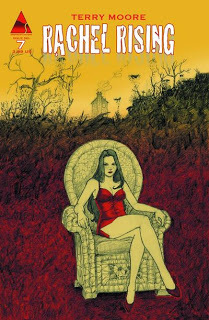 The pace changed briefly, and we saw a different side to the American Vampire series . Plus, it has one of the funnest covers of the series. You’ve probably picked up by now that I gravitate towards sappy comic book moments. 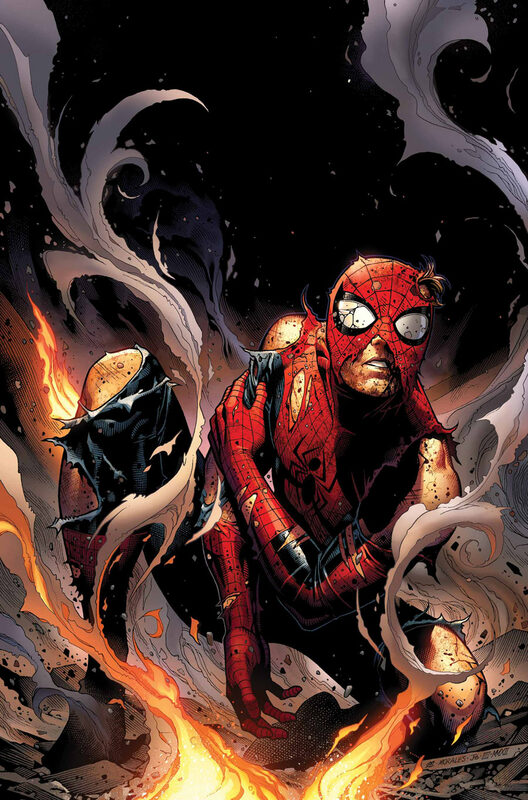 AvX #9 is the issue where Spider-Man reminds Hope that everyone has a place. She may not like it, but she was chosen as an Avenger for a reason. Peter shows Hope and us what it means to be an Avenger. SPIDER-WOMAN! KELLY SUE DECONNICK! 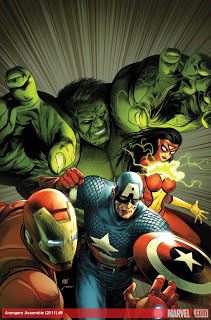 Avengers Assemble #9 was everything I wanted in a team book. 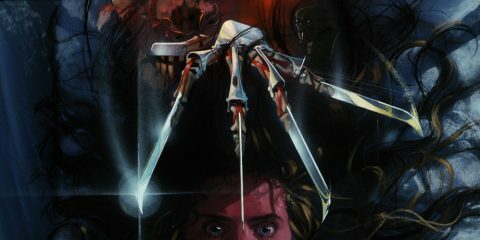 Favorite part? Spider-Woman telling Hulk to go make her a sandwich. 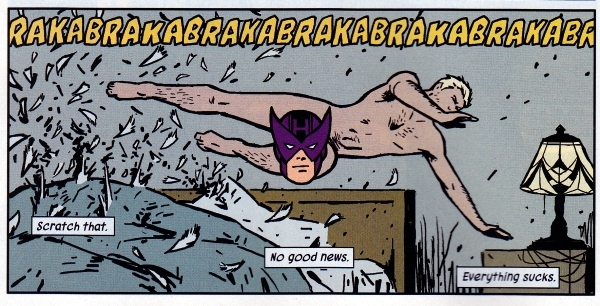 It was hard for me to pick one Hawkeye issue for this list. I decided to go with the Hawk Block. 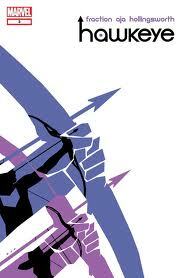 On the whole, Hawkeye is a great comic book that can be easily put into anyone’s hand for enjoyment. Again, another series where it’s hard to find one issue that stands out above the rest. 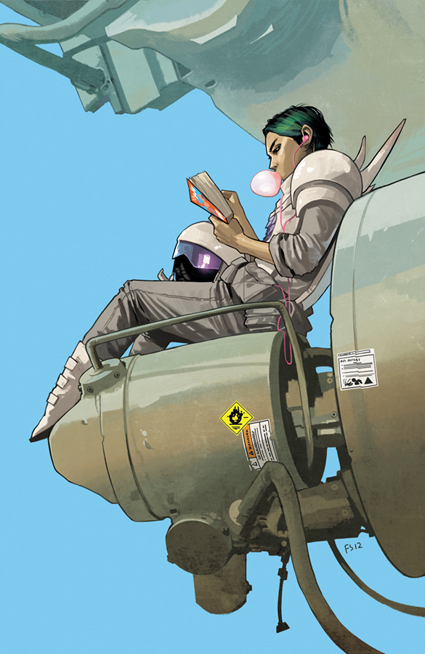 Brian K. Vaughan and Fiona Staples have rolled out hit after hit with Saga. This is, in my opinion, the best new series to come out in recent years. I’m not the best at explaining what this series is exactly is about (best I can do: space Romeo & Juliet), so go pick up the first volume and find out for yourself! 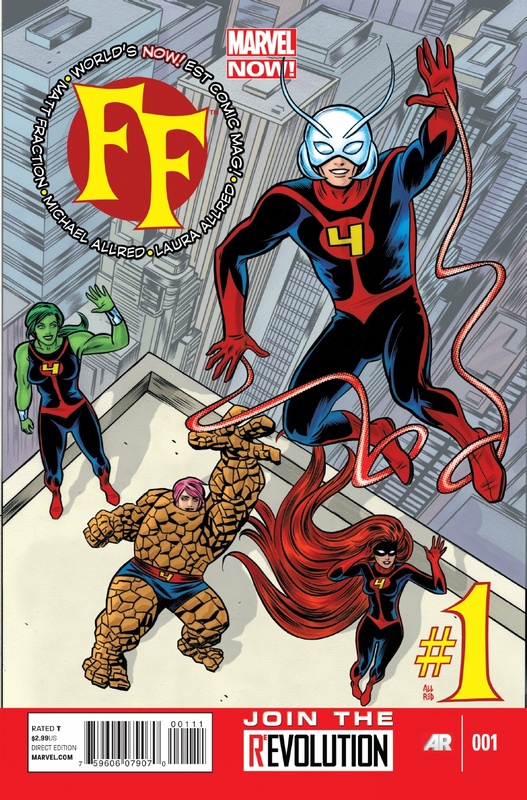 I’ve never read a Fantastic Four or FF issue until Fraction rolled out this jewel. I love the team: She-Hulk, Medusa, Ms. Thing, and Ant-Man. Allred’s artwork fits the story well, and the kids are just adorable. The first issue hooked me, making me an FF fan. Great to see X-Force on the list Mara. I am just catching up via the trades and haven’t enjoyed many comics this much. Rick Remender has my vote for writer of the year. 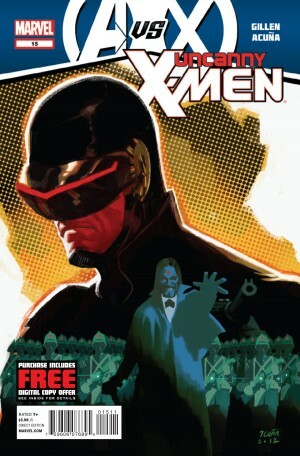 Also it was good to see an AvX title appear. Most people trashed AvX pretty bad and while I can kind of understand why, there were some great character moments and some strong story elements that I think are gonna be exciting to follow moving forward in the Marvel universe. The spiderman issue was one of the best parts for sure. All the best in 2013. 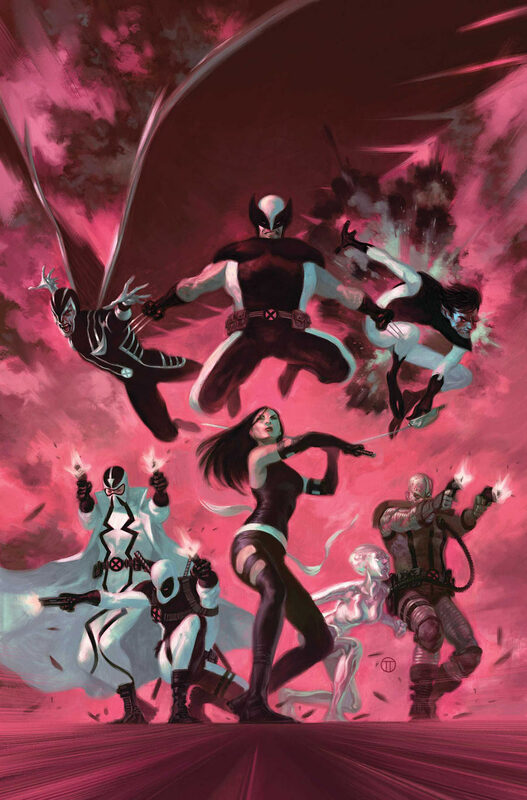 X-Force was definitely one of my personal favorite titles of the past year. Remender really brought it with his storytelling. As far as AvX goes, I was pleasantly surprised by it as a whole. I figured it would be a lot of showy fighting, but that issue 9 turned it all around. I’m not even a Spider-Man fan and I loved it. While it wasn’t my favorite cross-over of all time, it did bring out the best in a few characters. You have listed what for my money was the only great issue of AvX, as well as one of my Top 20 in FF #1, and in Hawkeye #3 and Captain Marvel #1 two of my “almosts”, but I’m most thrilled to see what could be the funniest word balloon in comics this year (and my favorite moment of the year!) on your list; “Hullllk…make me a sandwich”–classic! Thanks! I really enjoyed most of the comics that came out. I can’t wait to see DeConnick’s treatment of Spider-Woman on Avengers Assemble. Google Plus is sort of like Facebook. I’m certainly not an expert at it.